An update to Onetastic which adds two new features is now available: Favorites and Custom Styles. If you noticed an "Update Available" button on your ribbon and came here, that is awesome, let me know if that is the case. You can click on Browse... and then select a folder of your choice and that will appear in the list. If "Desktop" is selected, the feature will work as before and clicking the Pin to button will create a shortcut to the current page on the desktop. If you selected a folder via Browse... then the shortcut will be created there instead. (You can then create a toolbar for that folder in your taskbar for easy access). If you select "Favorites Menu" then the shortcuts will be placed in the Favorites part of the menu. You can then delete or rename items here. If you already had pinned pages on your desktop you can move them here if you want them in your Favorites menu. Finally a small feature is added to the top of this menu: Pin this Section. You can pin a shortcut to the current section, just like for pages, to either Desktop, Favorites Menu or to the folder of your choice. All of this will hopefully satisfy all kinds of scenarios about accessing your content faster. Second feature that is coming with this update is Custom Styles. I must admit that I didn't expect such a feature to be this complicated, as it took a lot of time to get it right. To give some idea, I wrote the favorites feature in an afternoon, whereas custom styles probably took more than two weeks. Also along the way I found several OneNote bugs, which is great because this gives us a chance to fix them. Another reason I decided to implement this feature was that it would go deep inside manipulating page content and I haven't done that before in an add-in. Image features like crop or rotate, is somewhat related but they deal with a very specific content type. Formatting in OneNote has a lot of components like font, color, bold/italic/underline/strikethrough, bullets/numbering, alignment, subscript/superscript, highlight and paragraph spacing. So Custom Styles feature is a way to capture a set of formatting applied to a piece text and then reusing it later. First, this dialog allows you to give your custom style a name. You can also select a style you previously created and overwrite using the drop down. Second, the dialog shows all the applied style information on the selection and you get to choose which ones you want in the custom style. For instance in this case the selection had bold/italic, left aligned, Calibri 11 red etc. If you only want the style definition to be: Apply bold and italic, and not about the font, color etc. you can deselect all but the Apply Bold and Apply Italic. As you do so, you will see that the preview is updated. For example if you deselect Color (red), then the preview text will turn black. If this whole thing confuses you, you can as well ignore it all together and the results will most likely be fine. Once you are satisfied with your style definition, you can click OK and the new style will be added to the gallery, with the same preview you have seen in the dialog. I added 17 styles with the installation and I did it all with this dialog. They include my own "Code" style with Consolas font :). I believe the way I implemented the dialog and style definition is very flexible, so you can create a style that only has certain style elements (e.g. just a bullet) and doesn't modify other characteristics of text, though it might be a bit confusing and seem complicated at first. So let me know what you think about this and your ideas on how it can be improved. I also added Language to the style so you can choose to change the proofing language for the text with a custom style. This can also be used to get rid of red squiggles for things like source code. You can just create a style with Language = some language that you don't have proofing tools installed for, and OneNote will not be able to spell check. Now that we created some styles, it is time to use them. This is the simple part, you just select some text and choose your style of choice and Onetastic will apply all the paragraph and formatting information you saved before. If you want to delete some of the custom styles you created or is installed by default, you can click on Manage Custom Styles at the bottom of the gallery and the same dialog will appear, but this time with a Delete button. You can select the style you want to delete and click on Delete. I want to also talk about a bug in OneNote that prevented me from including paragraph spacing into this. The dialog shows spacing but it will always be disabled due to this bug. The bug is that OneNote will not tell an add-in about the font information of the text if the text has paragraph spacing applied. This means if you have a piece of text that is styled as Arial 10 red and paragraph spacing: 10 after, 10 before, OneNote will tell me the spacing info but not the font info. In fact it will tell me that the text is Calibri 11 automatic color. This makes things worse when you apply a style to part of a page, because add-in has to write back the whole page when you apply a style and if you have text with paragraph spacing they will be reverted back to Calibri 11. You may hit this if you are using paragraph spacing or if you copied content that has spacing from somewhere else to OneNote, so don't be surprised. If applying a custom style doesn't do what you expect it to do, just let me know and we can identify where the problem is. One final note is that I did not make use of progress bars in this feature to cover the reading and updating page, as I did in image crop and rotate features, as I expect this to be used in pages that contain mostly text and in that case the operations are quick enough. Let me know if you hit any performance problems. Well this is all for now, enjoy the new features. They are results of hard work and I tried to make them easy to use, functional, flexible and pleasing. Thanks go to everyone who gave me ideas and feedback. I have the same problem as the previous person, with orange/ yellow. As soon as i format another word with my yellow-coloured syte, *all* text with this style changes the orange to a muddy orange. Quite annoying, so if you fix this i'd be delighted! The orange i want is 'Gold', the topmost yellow swatch in OneNote rightclick colour option - the one i get is the 'Gold darker, 25%' i think. I use OneNote to track my to-do list, and I use Onetastic to make it easy to apply color coding, e.g. red for urgent/important, green for long term projects, blue for questions I need to ask my boss. This is all works great, except... I want to use yellow for things I am waiting for on a response on, but for some reason, when I set my style to any shade of yellow/orange, when I try to apply that style, it changes the color. Red, blue, green, purple all work fine. But various shades of yellow/orange don't work -- it changes it to a different color, usually a darker yellow that I don't like. Can I also set keyboard shortcuts to apply these custom styles - like Alt+Shift+0,1,2,3,... for the regular build in styles? change style function can not work.thanks for your work on changing style,but it is really useless. Is there any fix oder solution? The only problem about this feature is, that it doesn't work at all in any sense. You can't practically edit the styles, because they are greyed out, no way of changing them, which is quite bad alone. You can't create one from scratch, you've got to select text to base it on. The worst thing is, however, that even if you manage to create a damn style somehow after working around the gimmicks, then you can't apply it. Installed 32bit version, on a 32bit version OneNote, tried it, it worked once, never again. You can click the damn styles all day and night and not a single font or color will change. Nothing. Utter crap. Just like OneNote. Microsoft can't implement a feature in 8 years that they literally already have in almost every single software they have created so far. > In fact it will tell me that the text is Calibri 11 automatic color. This makes things worse when you apply a style to part of a page, because add-in has to write back the whole page when you apply a style and if you have text with paragraph spacing they will be reverted back to Calibri 11. Hmm, not sure if this is all correct. I still use OneNote 2010. I formated text in Word: Calibi 14pt, Before 0pt, After: 10pt, Linespacing Multiple, At 1.15. I pasted this text to OneNote. The paragraph spacing will be maintained regardless what style use in OneNote. I used this style as template for the Normal style: 'Normal' style was updated to 14 pt! 1) Has this bug possibly been fixed in OneNote by MS, but Onetastic not been adapted to this change? 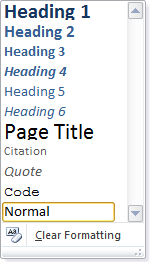 Please add an option to set heading levels 1-6 and some of the other default styles in onenote( Title, citation, code etc.). For instance, if I create a style named H1, I'd like the selected text to automatically set that text as header H1. Well, adding custom styles doesn't always work in the current version of OneNote. Seems to have trouble showing sample text most of the time and setting the color property correctly. Despite hand editing the onetastic.xml file where this stuff is stored, it's apparently not being read correctly or there is a bug in the custom styles core in how to interpret this. Not displaying sample text is a symptom of a fundamental bug. how would I create a style where a text box will start with a lowercase. currently the style "normal" always autocorrects the first word in a sentence to uppercase. i realize you have a lowercase macro, etc. but I don't want to have to highlight and run as it should be the style for the textbox. I especially love the custom styles feature, for exactly the same reason as you :) I want my code to be in Consolas 10pt, and now I can! Though is there any chance of adding a keyboard shortcut option? I use OneNote styles a lot, and apply/remove them using the keyboard, so being able to format code with the keyboard instead of two clicks to select it in the menu would be awesome. Xtr: Equations are currently not supported. This is a known limitation that will be fixed in a future update. Amazing work on the custom styles in general, and fixing the problem with the style crashes in the most recent update in particular. Onetastic is a much-needed addition to Onenote, so much so, that I'm battled by the fact that Microsoft has not themselves added some of the features in that are present in Onetastic. However; applying a custom style to an equation causes it to disappear. Instead, the user need to apply the style first, and add the equation later. - Is there any way to fix this? Thank you so much for the reply Omer! That helps me understand how things work better and how to get around the issue. Much appreciated! menace97: OneNote is a bit aggressive at reverting link colors to blue. You can change the link color manually as you said, but if you run anything on that page, it will revert to blue. You can for instance go to Settings > Show Page XML and see that it has the correct color and click OK without any changes to save the same XML back to OneNote and you can see that OneNote ignored the color in the XML and reverted to blue. For indents, it is a bit complicated and custom styles don't do it correctly right now in many cases. So that is a but in Onetastic to be looked at. i am trying to setup a custom style where i can easily recognize a link to another location in onenote (like a hyperlink/url). i have had no luck after trying many different ways of getting the custom style to apply to a "link" of any kind in outlook 2010. is there a possibility where there is a limitation on formatting links in outlook 2010? selecting the "link" text i wish to format with the custom style will inherit "bold" but will not ever be recolored (from the default blue of hyperlink text)... yet I can manually select the link text and color it orange if i wish by going up to the color palette in the text/font properties. i've also noticed that indents don't seem to get recorded in the properties of custom styles. For example, I like making bulleted lists that are a smaller condensed font, indented twice --- so when I select the text I wish to apply this custom style to, the bullets are applied and the font changes, but nothing ever gets indented (by other amounts i've tried. maybe i'm not understanding custom styles properly... i come from a design background using QuarkXpress (many years ago) and Adobe InDesign. Delain: You can just set up a new style and give it the same name and that will overwrite the existing style. I must've missed something on how to Modify my own "new" styles and the existing built-in styles. I created a new style, Saved, but when I come back in to Manage, it doesn't offer me the ability to change various characteristics of the Style. Is this a Pro feature only? Please disregard inquiry below. I got it. I downloaded free Onetastic today and found that it does not have the Content,Find, Image and Table buttons. Please explain why does my version lack these features? GraceK: This would happen if you have a lot of text on the page. Unfortunately it has to read and parse the whole page to even identify the part that is selected. I've been having some real lagging issues with the Pro version pertaining to custom styles, which is the primary function I use. Sometimes, if I highlight a word and apply a style to it, it takes 30 seconds to even a minute. When this happens, it happen continuously for the entire time I use OneNote and then tomorrow, it might be relatively quick again. Interesting. It looks like the No Spell Check macro sets the proofing language in a more sticky way than Review -> Language -> Set Proofing Language... does. When I use the macro the selection stays "Yoruba" and when I create a custom style based on the selection it also retains the "Yoruba" language. So whatever the macro is doing differently to set the language seems to do the trick. I'll give this a shot. Thanks! 1. Select some text and format it. 3. Note that the red squiggles go away... so far so good. 4. Select Custom Styles -> Save Selection as Custom Style... - note that "Language (th)" is checked - again, so far so good. 6. Select some other text. 8. Note that the formatting options were applied to the selected text EXCEPT the language. This might be a OneNote thing because Format Painter also doesn't seem to copy the language selection. Or maybe I'm doing something wrong... It's more than likely. I'm using Office 365 ProPlus 16.0.6965.2115. Is there a way to add the link you have created to the quick access toolbar? Also is there a way to open a file from a macro? superdrag: Currently there is no a way to choose a shortcut key for the custom styles. Is there a way to implement a short key for the personalized styles? Hey Omer Atay, thanks for the fast response! What I mean is please add the ability to edit the style (adding at least the ability to edit the paragraph spacing) within the "Custom Styles" popup menu that appears when either "Save Selection as Custom Style" or "Manage Custom Styles" selection is made. conib: What do you mean by "editing of custom fonts"? You can change the custom styles if that is what you mean. 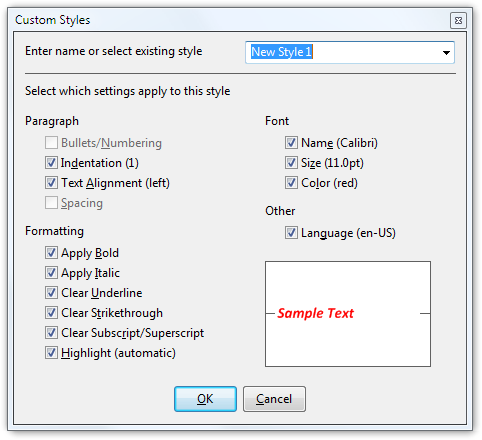 Just format some text in OneNote and then choose Custom Styles > Save Selection as Custom Style. Paragraph spacing is currently not available but will be in a future update. +1 for Jeffrey Johnson's 2016-07-29 comment: Please implement editing of custom fonts. Or, failing that, at the very minimum PLEASE-PLEASE-PLEASE implement editing of paragraph spacing in custom fonts. ktran: The issue is understood and will be fixed in the next update. I have the same problem as Adama. Please update when you get a working solution. Omer Atay: Thanks for trying to answer but it doesn't work. I will try to contact the support. I have the same problem than Lorel with OneNote 2016, is there any fix? Lorel: Can you send a screenshot to support@getonetastic.com? I downloaded Onetastic tonight and also the macro for custom styles but when I go to OneNote and click on Custom Styles there are none there. All I see is 'Save selection as Custom Style' and greyed out is 'Manage Custom Styles'. Am I missing something? Is there something I have to do to make the styles appear? Please consider if possible adding shortcut keys for the custom styles, similar to (Control + Alt + #) used with the built in styles. I tried following your suggestion of adding The Custom Styles button to quick access, but this still required me to use the arrow keys to select the custom style from the dropdown. This slows my typing down considerably. A shortcut that could avoid the arrow keys and be typed with one hand would be a vast improvement. Reading the documentation for Custom Styles, it seems like a number of styles should be already entered. After installing on OneNote 2016 on Windows 10, there are none. Onetastic is a great piece of works. Thanks for sharing! Wow. Just WOW! Exactly what I have been looking for. The builtin styles would be great, if they would at least allow me to set a different font and/or font formatting. This will fill in the gap nicely, at least for any new notes I create. SU: Onetastic gets the URL from OneNote and OneNote prefers giving out a SMB share URL instead of a local one because that allows you to copy link to a page and send to another person on the same network and they can access it. Onetastic doesn't really know that these are local, it just gets it from OneNote and saves it as is. I noticed that Onetastic saves the shortcuts you create as a onenote URI pointing to the User SMB Share of the local computer. This behaviour leads to a warning message, which could be avoided if the links would point to the local path. Please include option to save paragraph spacing with the style (before and after spacing). Also, please include option for keyboard shortcut to styles. ps - desktop shortcuts opening the onenote app - nevermind. I fixed it. thanks so much for the favourites feature - can you tell me is there a way I can get the desktop shortcuts to be that - not internet short cuts. They continue to open the onenote app not the desktop version which I prefer. It looks like the Paragraph Spacing bug has been fixed in OneNote 2013. I am able to extract styles from text that has custom spacing applied to it, but the spacing option is still hard grayed out. What are the chances the plugin could be updated to supply this feature? Favorities feature is so useful. If you could find a way to display it in the bar so it would save us one click to get there that would be awesome! syntax highlighting in the code template would be nice. Is there a way to just disable or delete styles in OneNote? I use OneNote because it's NOT like Word, and now it seems MS is trying to make it more like Word. That was the great thing about it - it didn't operate the same way and automatically adjust the page the way Word does. If there isn't a way to adjust, is there a way to revert back to a previous version of OneNote, before they added this annoying feature? Any thoughts to making the Pin to Favorites information sync'ed where it could be accessed from multiple computers, like desktop and laptop? I found out of Onetastic one hour ago while finding how to do a macro for OneNote to modify/remove the line spacing. I was really glad finding about your Custom types implementation, but a bit disappointed as you mention of the spacing bug. Do you have any clue when this bug will be fixed by the OneNote team? Is it still possible to create a macro to remove line spacing despite this bug? Thanks a lot for the OneTastic tool, and thanks in advance for your enlightenment on my spacing issue. Figured out the comment submission problem. Where it says standard URL I was trying to write an URL like Microsoft's domain address and then the '?lang=en'. First off, thanks for making this add-in and the feature for styles. I was directed to your add-in when I went searching for the ability to have custom styles. 1. Write some text in a page. It needs to be long enough that you can see the problem (i.e. at least three words). 2. Pick a middle word in the sentence and create a web link. The links needs to have the following text at the end of the link: ?lang=en. For example "standard URL/?lang=en"
3. Select text before the linked word, the linked word, and after the linked word. 4. Select a custom style to apply to it. It applies the custom style, but it also truncates the selection at the start of the linked word and deletes the rest of the selected text. It should not do the latter. I noticed that variations on what needs to be at the end of the URL included the pattern ?lang=* which includes "?lang=foo", "?lang=bar". However, "?bang=foo", "?lan=foo", etc. do not cause the problem. I have a bug with the styles that I would appreciate if you could address. I have tried to submit it several times but it just locks up the web page. Is there another way I can submit a bug besides this comment to a blog? Just wanted to say 10x & WOW, great work dude!! Very helpful. Do you know if this paragraph is fixed in OneNote 2016? Is there any easy way of exporting which ever file to another machine, for custom styles? a) I highlight text I have already typed and select the custom style. b) I click a location within or immediately after a word of text, select the custom style, and begin typing. c) Strangely, if I click a location immediately before a word of text, select the custom style, and begin typing, the style will apply to the already existing word of text but not the text I just started typing. a) I click a location on a blank line of text, select a custom style, and begin typing. b) I click on location immediately next to spaces, select a custom style, and begin typing. Essentially, it would be really great if - when I already know I want a given style - I could just select the custom style and start typing. I use OneNote for myself and multiple jobs and love OneNote and the Onetastic tools! Omer, I have a problem that is happening on multiple PC's. I have set a Custom Style which has multiple formatting aspects: bold, underline, italicize, color blue, a specific font, and sizing. The problem is that every time I highlight text and select the custom style, OneNote loads for 5-10 seconds just to apply the style to a few words of text. Is this because my style has so many aspects? Obviously, it would be ideal for the style to load right away. It would be nice to have a way to let the custom style created heading font all in uppercase. @der Vodi: Thanks for the workaround suggestion - I had already figured that out and have been doing just that since making my post. The thing is that when OneNote creates a fresh page in (say) Unfiled Notes or Quick Notes (e.g., if you are making a Send To OneNote clip), then OneNote religiously reverts to its own peculiar default Title font on the new page. I can't figure out how to override that default. And there's definitely still something odd about OneNote's seeming aversion to Calibri 17. It's a very nice font too! Create a new empty page and manually set the title font to Calibri 17. Save this page as template and tell OneNote to use this template for the current section. Verify your actions by creating another empty page - it should now have the correct title font. 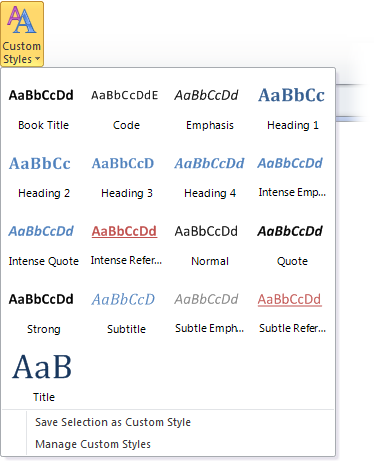 Plus, when you change the tite font using OneTastic it will NOT fall back to Calibri Light. I assume that there's a bug in the OneNote API (not OneTastic). It'll use the "light" variation of a font if there is no specific section template. In general, font handling in OneNote is patronizing. I think the marketing guys @ Microsoft want to impose the MS corporate identity on MS customers. I appreciate your work, and do especially like the favorites menu. 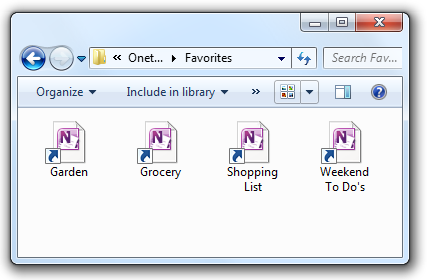 One issue though, if I have multiple instances of OneNote (2010) open, my Favorites selection appears in the first-opened instance even when I select it from another instance. Any fix for that? omer, this is so useful, it's embarrassing to see the one included with onenote (2010 at least). i've since removed it from my ribbon bar and use yours exclusively. why on earth couldn't they make templates customizable and easy to use like yours?! :) thank you! I saved mine with Garamond font, size 20, color Green Darker 25%. When I try to reuse the style it turns all my headings to Calibri Bold. Not quite sure what's going on. I had to rebuild my desktop computer and reinstall OneNote and Onetastic. My custom styles are still on my laptop but not on my desktop. Is there some way to migrate them over? Thank you for Onetastic, it has proved a most worthy addin. It would be nice to have a way to assign keyboard shortcut for custom styles created. Many thanks for the latest update - I noticed it on the ribbon. I wanted to force all my page Titles to be in Calibri 17pt, so I saved a new Custom Style (Calibri 17pt) over the existing Title style, but it simply does not seem to work. I also tried editing an existing font change macro (originally set for Calibri Light 20) and changed it to Calibri 17, but it came out Calibri Light 17 *every time* - just would not work, though it worked OK if I set it to Arial 17 or some other font!? I'm confuzzled by this. Is there something peculiar about the Calibri font? In the "Custom Styles", could you please add a feature to create for each custom style a "Keyboard Shortcut" or a custom "AutoFormat". A Keyboard Shortcut example: When I click Ctrl+Win+E --> Style1 is activated. "AutoFormat": When I write (without quotes) "\34Omar asd*" (Prefix is \34 and Suffix is *) --> the text between Prefix & Suffix is styled automatically with Style1 and Prefix & Suffix are removed. I hope this feature would add a great power to the quick styling in OneNote that we really need. Thanks for all your work. Onenote is becoming grater thanks to you. Microsoft needs people like you. I am working on a similar macro that changes style. Is there a way to change the font, format and such at the cursors current location? I can only get it to change for the currently selected text. I want my macro to work the same way pressing bold the Ribbon work: Change the currently selected text or if nothing is selected any new characters typed will be in the new style. I was able to work around the problem by inserting text if nothing is selected but is there better way? I love the custom styles, but was curious, is there a way to dock the style list to the note screen (like in Word)? That would make using them so much easier. At any rate, thanks so much for all your hard work on this absolutely indispensable plugin! Update: I want a 1-click icon (button) in the ribbon, not in the toolbar. Favourites is a nice feature. But I have a suggestion to make it even better. I want an icon (button) linking directly to a specific onenote-page. No dropdown menu, it should be just one click. In \"Pin to favourites\" add an option to enter the address for the 1-click icon (the address of the onenote-page it should should link to). If that is not possible maybe a \"split-button\", upper part links to the onenote-page, the lower part shows an option to select the address to link to. Why a 1-click icon (button) ? I have created a \"Link-central\", a onenote-page with coloured links to important sections & pages in OneNote, URL´s, documents on my harddisk etc. I already have a taskbar-icon linking directly to the page, but it would be nice to have an icon (button) in OneNote. That would make it a lot easier to switch between sections / pages in OneNote, while I am working \"in\" OneNote. the one thing i cannot seem to get to work the way i would like as a style is the bulleted list. i notice that within the options when saving a style there is in fact a section labeled \"indentation\" with the number of indents one has used for the style. i have setup my bulleted lists with an indent of 1 to give a bit more breathing room from being right up against the left side of the page, however the indent field seems to be ignored when using styles. whether i use 1,3 or 5 - it will always put the bulleted list in un-indented, but with the proper bullet. any ideas as to what may be causing this? thank you! i am absolutely loving onetastic omer! thank you so much. upon trying the custom styles, for some reason although i checked the option to remember the indent/tabbed in amount for making a bullet list, when i apply the style to plain text it doesn\'t indent the bulleted list as the original i created. is this a shortcoming of onenote? --- as a side note, i just registered, and i used an email address that i really don\'t use much any more, and would love to change the email i have attached to my account. i didn\'t see an option to do that? is that possible? LisaU: Custom styles don\'t set the underlying style. They directly read and set the font/formatting information. The TOC macros didn\'t exist when I did the Custom styles, so I didn\'t worry about them. You could probably update the TOC macro to look at your custom style (based on font-size etc) instead of looking at the underlying style, it would take some effort though. I could look into adding the underlying style as a part of custom style definition. Thanks for the suggestion. Omer, I love Custom Styles addin, but it does not function the way I expected. Here is what is happening: I created a style based on the Heading 1. I set the style on a section of text to Heading 1, then I modified it to add bold and color. Then I saved the new style with a new name H1. When I apply H1 to a new section of text and check the underlying style, it is still Normal, not Heading 1. This is an issue when using the TOC addin. My workaround is to first set the heading styles with the standard OneNote Styles, and then go back and apply the Custom Style formatting. 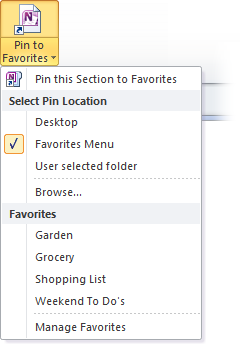 A new feature request: The closes that is available right now is this: From the favorites menu, you can choose to pin to desktop (instead of favorites). Then adding the page will end up creating a shortcut on your desktop. If you use that shortcut to open OneNote, it will go to your scratch page. What you want is actually to be able to add individual favorites to quick access toolbar. This can be added in a future release. Thanks for the suggestion. for OneNote, I take \"the scratch page\" as the homepage (as the homepage for IE). the aim is to one-click to go back to /access the scratch page from anywhere. so, if you can help place the homepage on the ribbon (not add into the \'favorite\') , that\'s great. Adding into the \'favorite\' also save my time, but I need to clikc twice, not one click. finally, to correct my request, that\'s: to pin any pape/section to the ribbon, not within \'favorite\'. A new feature request: What do you mean by homepage/the default scratch page? rtmd, OneNote does not support the color of the text being different than the color of the underline. You can change the color of the text and that will also affect the color of the underline. Hi, I really appreciate your application. btw I have a question. Is there a way to change the color of underline when you change the format of the text?? Roman, you can save any font as a custom style. It will only affect the custom styles, not built-in styles. You can format your text to how you want it then click on Custom Styles > Save Selection as Custom Style then give it a name (or choose an existing one). That should create the custom style which then you can use later. I fixed the e-mail me if someone replies. Apparently it didn\'t work on some browsers. Thanks for reporting. Hey I tried it and I think it\'s great you\'re tweaking this already awesome program OneNote. Even though the basic \'Word\' styles work flawlessly, I can\'t seem to copy a different type of font such as Lobster and make it a quick style for a title... do you know what\'s up? Thank you so much! good job so far. PS: and the e-mail me if someone replies didn\'t work for me. I\'ve install the plugin but I\'ve some problems with it. First of all, sometimes the plugin it doesn\'t work and i get the error \"Unknown error 0xC00CEE47\"
Other thing is that if the page is a quite big, if the plugin works, it works so slow :(. Finally, i\'m looking for a plugin that avoids me to create a style that i can share on na net and if i make a modification on the style (Like a css class) the texts that uses it changes his font because the style has changed. I like the Custom Styles very much. Thank you a lot. 1. Is it or how is it possible to add the spacing to the custom styles? 2. Is it or how is it possible to add a shortcut to a custom style? Great addin. However I wish there was a possibility for me to pick a custom style as new Standard (right now I have to Change the style everytime I open a new page). Hello Omer. Just stoping by to feedback about the update, its working perfectly. Thank you very much. the \'&\' character was the culprit. Thank you for your support and for developing this great addin. bob, this usually happens if one of your favorites have the \'&\' character in its name. Go to that folder and rename any such shortcut. Then restart OneNote and your favorites should be back to normal. i use 2010 32bit on x64 pc,.my \"pin to favorites\"is empty. NoCouth, Onetastic (or any other add-in for that matter) does not and cannot disable the built-in ribbon controls, including paragraph spacing. So it must be something else. Very likely what has happened is that for some reason you are working on a notebook that is in 2007 format. OneNote 2007 format notebooks don\'t have paragraph spacing options. When in such a notebook the title of the window would show [Compatibility Mode]. If that is the case you need to upgrade the notebook to 2010 format. To do so, right click on the notebook and choose Properties. Then click on Convert to 2010. Onetastic could work with paragraph spacing on ON2013, but I didn\'t have time to update it yet to do this. Omer -- I forgot to tell you that I\'m using 32-bit Office2010, (and obviously 32-bit OneNote2010), and downloaded the 32-bit OneTastic. PC is a Dell Latitude E6500, 8GB RAM, running 64-bit Windows 7 Ultimate, ver. 6.1.7601 SP 1, build 7601. I\'ve noticed that it doesn\'t matter what font the text is in that I highlight when I attempt to use the built-in paragraph spacing after installing OneTastic: Calibri, Arial, etc., it\'s all the same: since installing OneTastic, the paragraph spacing is simply greyed out on any NEW text or entries of any kind. I even went back to an old text entry, found I could change paragraph spacing just fine (because it was entered before OneTastic), copied it and pasted it into a different notebook, (since installing OneTastic) and whether I pasted it in by selecting \"keep source formatting\" or \"merge,\" after it pasted, I could NOT select paragraph spacing. One more thing: I changed my DEFAULT font in OneNote to Times New Roman from Calibri (can\'t remember how I did that now), but even when the font selected is a One-Word font without spaces, the paragraph spacing is greyed out. If I can remember how to change it back to Calibri, I can retry installing OneTastic again, if you think that is causing the paragraph spacing to be greyed out no matter what font the text I\'m highlighting is in. I understood your comments regarding the bug in ON2010 that equates to you not being able to incorporate paragraph spacing into OneTastic\'s customizable styles... But what I\'ve noticed is that once OneTastic is installed, the user can\'t even use the regular option to change the paragraph spacing on anything typed into or copied into OneNote 2010 either! Clicking on the paragraph alignment menu built into OneNote2010 on the Home ribbon shows \"paragraph spacing\" as greyed out. Things already in ON before the installation of OneTastic can be updated with new paragraph spacing using the paragraph alignment menu... but it seems that anything new can\'t. If I\'ve missed something, by all means, let me know. Like many other users, things I type into ON and copy into ON are difficult to read without space between the paragraphs. Having to punch in several keystrokes using the regular paragraph spacing option in ON was cumbersome, but at least it provided the results I wanted. Now, I can\'t do that, so will have to uninstall OneTastic if it prevents that. I\'m checking into the AutoHotKey program as you suggested to others, but I\'m still concerned about OneTastic\'s \"greying out\" the normal paragraph spacing option in ON. Suggestions? Hello Omer! Do you have prevision when the next update will be released? ttse, I will fix this bug in the next update, sorry for the inconvenience. Yes, my notebook pages have images on them. ttse, is there an image on the page you are trying to apply a custom style on? It looks like there is a bug that prevents custom styles to work when there is an image on the page. I am having trouble applying styles to my Notes. I am heavy style user and I find it very frustrating that Onetastic does not use the styles that I put in. I am using a Windows 7 and OneNote 2010. The problem is that when I apply a style to a header, nothing happens. No error message or anything. Saving the styles that I made works but I can\'t apply it to my document. However, when I use the default styles built-in OneNote; they seem to be working. I tried reinstalling the add-on again but it is not working. Can anyone help me out? RonaldG, custom styles don\'t change existing built-in styles. they are two separate things. Ctrl-Alt-n shortcuts will still invoke the built-in styles, you need to use the Onetastic custom styles drop-down to use custom styles. Would like to change the heading styles that I can apply with the shortcuts (Ctrl-Alt-n) but I can\'t change the existing styles and if I create a new style and save it with the name of an existing style the new style appears in the Onetastic dialogue with the new formatting and stays in the built-in dialogue with the original formatting. Shortcuts apply formatting of original styles. I am using OneNote 2013 in German. Marcos, go to File>Save As and save the page as .one file. Then send it to me by e-mail. You can find my contact info by going to the Contact link at the top. Hello Omer, thanks for the fast reply. Concerning the problem, when I try to apply a \"custom style\" in a sheet that doesnt has images I can do it normally, but when i try to apply in a sheet that has images, I simply can\'t, and i get no error. I am able only to \"save selection as custom style\" and \"manage styles\" but i cant apply. The \"normal styles\" of onenote works normally. I think it can be something related to a conflict of images and the \"custom styles\". DL-IND, OneNote chooses to use the existing window for shortcuts if there are any. I believe it doesn\'t have an option to use a new window. Marcos, can tell what exactly you mean by \"custom styles don\'t work\"? Does it not do anything or does it do something unexpected, or does it give an error? If you can share the page I can also check what is going wrong. When I put an image in the page, it doesnt work anymore, even the text box has not an image, if an image is contained on the page, the custom styles dont work! Can you give a help with a possible solution? Sorry, if I miss something here. I have made a shortcut of a page (my ToDo list) by using PinToDesktop. When I click the shortcut while Onenote is already active, is there any option so that the shortcut will open a new window of Onenote? Kyle, Onetastic is supported on Windows 8. Did you install the correct version (32-bit vs. 64-bit) based on Office bitness? If you did, then try running a repair of Office Setup from Add Remove Programs (Right click on Microsoft Office, choose Change, then choose Repair), then retry installing Onetastic. I installed Onetastic into OneNote 2010 on Windows 8; but it doesn\'t show up. Is it supported on Windows 8? Anders, thanks for reporting the multi-monitor issue. This is a known issue where the window shows up off screen. This will hopefully be resolved in the next update. Well I had an issue when I did Custom / Save Style, I think it is due to that I have dual monitors and have OneNote open on one. The dialog never appeared on the screen and I had to kill the task and restart onenote moving it over to the main screen, then the dialog came when I did Custom / Save Style. Agree also with Justin, having shortcut keys for styles would be great. thanks for a great addin! The one thing that is really missing for me is keyboard shortcuts for styles. I use this a lot and it would be fantastic to be able to quickly set a style on the fly while Im typing rather than having to click up in the menu. Thanks for much for this, Omar. OneNote is the only Microsoft program that I use regularly--and I use it a lot--custom styles is a great help, and something that I\'ve missed since the launch of OneNote. A feature that I\'d like to suggest for possible inclusion in a future update is the ability to make inclusion of the url when posting from the web optional. At the moment, you can switch it on or off in the options panel. There are occasions when I want to include the url, and occasion when I don\'t. I\'d like to be able to choose at the time of pasting whether or not to it. Anyway, that\'s just a suggestion and I\'m more than happy with OneTastic as stands. Thank you so much for these wonderful tools - especially the Custom Styles feature! I keep telling my students \"don\'t try to make OneNote into what it isn\'t!\" but then find myself trying to do just that! Now I can (a little bit, anyway!). Would LOVE it if you could find a way to capture the paragraph spacing with styles! I use OneNote to create training materials and that would be a big timesaver! Thankyou for this, the Custom Styles Feature is Amazing! I wish i found it sooner! What light of day isn\'t today? Jez/Garret: Everything on the Ribbon already has keyboard shortcuts. Hit Alt key and it will show what to press to get to the specific button. If that is too many keystrokes, you can pin the Custom Styles menu to your Quick Access Toolbar. First 9 buttons in the QAT gets Alt + 1 to Alt + 9 shortcuts in all Office Apps. Let me know if you need help in this. dm: Sorry that I can\'t make Onetastic work on WinXP, as the necessary programming interfaces does not exist on XP. But I can\'t try it because it doesn\'t work on WinXP. I am a heavy user of OneNote and this add-on fixes most of my gripes about the tool. The ability to rotate print-outs in OneNote is really cool. Lucky me. My plan was to do a quick run through and then in the morning have my assistant spent some time mastering this program. Guess what I am done. You would expect a program that is so extremely helpful as this one is to be a bit complex. It is not. It\'s a 1 2 3 got it! Thanks for a program that makes as much sense as OneNote. What about custom shortcuts for the custom styles, only reason I utilize styles is because of how quickly I can add them when needed. I saw the update button. Thank you for adding new features. Onenote and Onetastic are great. Just to let you know I came here because of the update available button! However ,i prefer to use the pin button for dropdown \"Favorites\" rather than \"pin to Favorites\" since jump to Favorites is more often used. Came here because of the \"Update Available!\" button. Just chiming in to let you know that I came here from the \"Update available\" button in the add-in. Cheers! Greig, yes having a style with a font name containing space is currently broken. The style won\'t apply. Do other styles that doesn\'t use such a font work? For the delete causing lockup, I can\'t reproduce the issue. Do you get the confirmation dialog \"Are you sure you want to delete...\"? or not even that? Can you delete it after closing and restarting OneNote? Also I have recently found an issue with style names. If you use a non-English character in the custom style name, Onetastic fails to recognize the style later on. Another likely problem is having paragraph spacing, as I mentioned in the post. If you have paragraph spacing set on the paragraph, then the font information is lost. Thanks for reporting these issues. The Custom Styles feature is not working properly for me (which is the main reason I installed Onetastic). I think at least part my issue is related to the issue you mentioned in your response to Steven about font names containing spaces. I created a style using the font \"Segoe Print\". Not only does the style not apply, but I also cannot delete it. Attempting to delete the style causes OneNote to lockup. Please let me know what other information I can provide to help debug this issue. Thanks! Steven, thanks for trying out the custom styles and reporting issues. Can you tell me what was the font you were trying to apply. There is currently a known problem with fonts with a space in their names like \"Lucida Console\". If you want you can contact me by e-mail and we can figure out what went wrong. Find my address in the Contact link at the top. Thanks. Hi Omer, thanks again for the amazing plug-in, there is one problem however, for some reason, the custom style simply failed to work for me, I deleted all the preset styles (don\'t get me wrong, your preset styles are fine, its just my notebook have some very strict formatting rules) and inserted two of my own, I deselected all the other option leaving just the font, color, and size and also apply bold and apply italics. But when I tried to apply the style on any text, I can see the screen flickers a tiny bit, so I know some code was running, but the style didn\'t change at all, out of about 20 tries, a few instances it kinda works, it just changed the selected text back to Calibri 11 but never actually apply the style I saved. My OneNote version is 14.0.6122.5000 (32-Bit). Again, thanks, even if there are bugs, I still thank you for even trying to implement custom style, the default style just annoys me to no end and is a major part of the reason my life is miserable. dirmansyah I can reproduce the issue with space being removed. I will check this and see if this is a Onetastic bug (most likely). It looks like manually selecting the word (without double clicking) works reliably but selecting it with double click or just putting the cursor on it can cause the space to be removed. Sorry for the trouble. I tried just clicking in the middle of a word, then apply the style. Sometimes it works, sometimes it removes the space. e.g. there is a phrase \"... that you don\'t use ...\"
I click \"that\" and apply my \'blue-bold\' style. \"that\" and \"you\" become blue and bold, as expected and the space between them is maintained; but the space between \"you\" and \"don\'t\" is gone. the phrase become: \"... that youdon\'t use ...\"
With double-clicking \"that\", the space between \"that\" and \"you\" is gone. \"... thatyou don\'t use ...\"
The two examples above do not always happen. I see no clear pattern. That is why I am confused. Omer, is there any strict rule when we save selected text as a style? I mean, if the selected text is a single word and saved as a style, then the style should be applied to a single word only; and etc ??? dirmansyah, instead of doubleclicking a word to select and then apply a style, just single click somewhere in the middle of it and then apply the style. This will apply the style to that word only. Let me know if this doesn\'t work. I did not know that Automatic Colour is identical to Black. I got it. About editing custom style, I think the current menu \"Manage...\" and its popup tip \"Edit and...\" is confusing since there is nothing we can edit. Are you planning that edit feature? Another small thing. I usualy double click a word to bold or highlight it. If I double click it and use my custom style, then the *space* between that word and the next word is removed. How to avoid this and I still can do double click to select the word ? Thank you for this custom style feature. I hope I can remove font type, size, bold, colour, and highlight from QAT. The mini bar is not that quick. - If you want black text color in the custom style, you can select black instead of automatic from the color picker prior to creating the style. - To edit an existing style, just create a new one and in the dialog to create, just pick the existing style\'s name. This will overwrite the old style with the new selection. The \"Colour Automatic\' setting *works* now, after I exit and re-open OneNote. It seems that the \"Colour Automatic\' setting of a custom style does not work. e.g. If the text is blue (by manual edit or by using other style) then I use a style with automatic colour, the text stays blue. Does \'automatic colour\' here means \'keep the current colour\' ? How to edit the existing style? I have deleted all the styles and made my own styles. I used \"Manage Custom Styles\" to edit one of them; but in the Custom Styles dialogue, there are only \'Delete\' and \'Close\' buttons and all elements of style are not selectable (they are gray). Did I skip something? I\'m here due to the auto update notification so it obviously works. If you are taking feature requests (grin), how hard would it be to add/customize the list of Tags. For some reason, I find OneNote often forgets my tag settings (I use the clock as a tag for timestamping my notes and include the current date/time) - even better would be a macro/style that adds the clock tag and the current time to a paragraph. Oops, Sorry. my previous comment was on OneCalendar form. Thanks. For the left and right arrows at the upper-left-corner of all views, could you make them bigger? 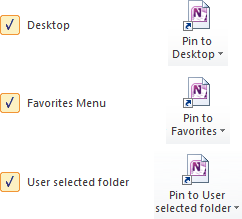 If the size and the style is similar to OneNote button for expanding and minimizing the ribbon, that would be easier for me to know when to click it since its border appears. If you noticed an \"Update Available\" button on your ribbon and came here, that is awesome, let me know if that is the case. Yes I did and that is why I am here. I love your additions to Onenote, especially the crop feature. Thanks for adding even more awesomeness to MS\'s already awesomest tool! Antonio, thanks for feedback and ideas. As to why feature X is not built into OneNote, I must say that it takes a great deal of time designing, implementing and testing features and there is only so much time available. If we were to include one feature, we then need to leave another. Also note that there is probably a ton of bugs in Onetastic and it is OK for me to release it as is, but it wouldn\'t be OK for OneNote to ship half baked features. For the search tags feature, I will share your ideas with the team to improve this. I am not sure if an add-in can do this because the list of tags is not available to add-ins. Wow, your work is absolutely amazing!!! Finally a way to crop! I have been using onenote for years and it\'s nice to see it move forward. I\'m excited to play with the favorites add-on, I would like a way to easily make \"breadcrumbs\" and then have an autogenerator for different sections (kind of like a table of contents in Word, with hyperlinks). Good luck on future work! Stew, do you have images or printouts on the page or is it just text? It should be pretty quick with text, but may be slow if there are images. See my final note above about the progress bars, which I tried to mention this. Great piece of work! \"Update available\" turned up in my ribbon too. First, the \"Update Available\" came up for me too. These are great new features, especially the Custom Styles. I\'m running Office 2010 and we use ON pretty heavily on my team and it\'s spreading throughout our building. One thing that surprised me about Custom Styles was that it seems to take about 5 seconds for the custom style to be applied, after I select it from the toolbar. At first I didn\'t think it was working at all, then I noticed it was working after I\'d looked away. Is this expected behavior? The \"Update Available\" came up for me. now, i would love to see another feature in OneTastic, and i think it can get really useful for must of us... It\'s about having a better Search Tags utillity. hope you consider it.! many many thanks for all your work! Just wanted to say thank you for making OneNote a much better experience! Also, I did see the \"Update Available\" button and looked here for a description of the changes.